Superdry women's Phoebe wide leg jeans. Refresh your denim this season with the Phoebe wide leg jeans. 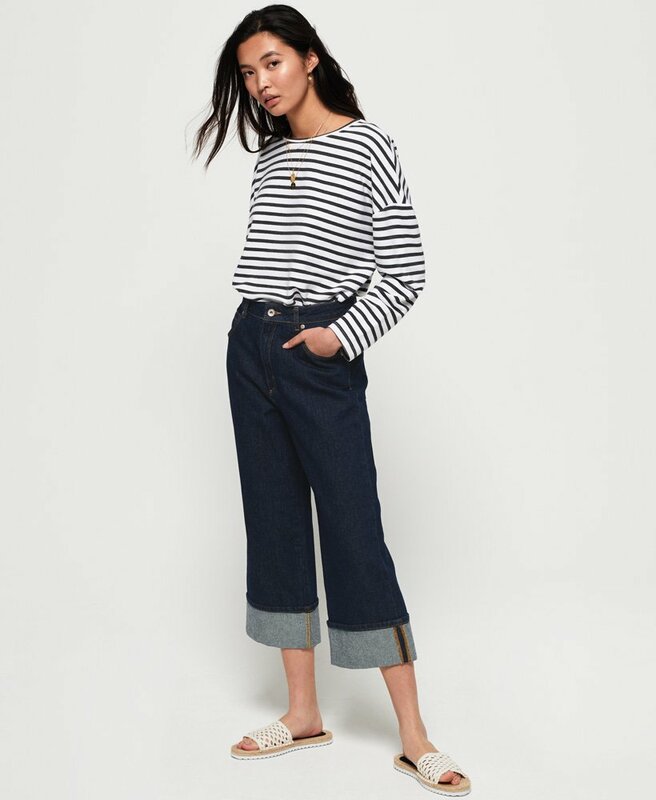 These jeans feature the classic five pocket design and belt loops, while the wide leg style is the epitome of relaxed dressing. Completed with a logo badge on the coin pocket and leather logo patch on the rear of the waistband, style the Phoebe jeans with a loose t-shirt and sandals.